Richmond Chinese Medicine > May Chinese Medicine be used with medication and other medical care? 10. May Chinese medicine be used with medication and other medical care? 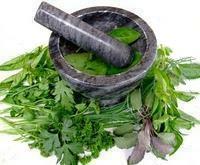 Chinese medicine may certainly be used in conjunction with other medical care. Patients should always provide information as to what medications or medical care they are employing. This will be taken into account. Furthermore, as acupuncture treatment progresses, the need for certain drugs typically decreases and it may be appropriate to reduce or discontinue medication (with consent of patient's treating physician).